We take you from initial idea to opening day. It begins with your idea. It ends with your grand opening. In between —that’s where we come in. Zamparelli Architectural Group ensures the success of complex, high-image projects by expertly handling an array of interdisciplinary services and multidimensional functions. Our team integrates the entire life cycle of the project, including creative design services, 3-D modeling, evaluating facilities, analyzing space requirements, researching, and evaluating all relevant building codes. Through value engineering, we deftly balance function and performance against cost constraints, and offer expertise on intricate details such as historic restorations or green building technologies. We consider everything including materials, fabrication, energy consumption, circulation, space planning, and daily operations. We represent our clients throughout the process, administering contracts and managing every phase of construction with a keen eye on budgets and schedules. Longstanding or inventing, we respect and enhance your image. Throughout our design processes, we capture the essence of your brand. Whether your corporate identity has withstood the test of time or we’re kicking off something new and wildly inventive, we will help you make that essential emotional connection with your guest, client, or buyer. Our team creates and infuses your authentic identity and brand into everything we touch: signage, packaging, materials, and the entire sensory experience of walking through your door. We are fluent in corporate and creativity, and extend that expertise into branding. Highly creative prototypes and nationwide implementation. With over 500 successful design concepts in our portfolio, we’ve earned the trust of high-visibility retailers such as Ann Taylor, Omega, Swatch, Armani Jeans, Silver Jeans, Brookstone, and many more. Our legacies of retail design projects have wowed discriminating shoppers from Beverly Hills’ Rodeo Drive to New York’s Times Square, including flagship projects and national roll-outs with coast-to-coast penetration. Small-scale and large-scale projects alike receive our personal attention at every phase, including prototype design, site research and selection, space planning, art direction, store fixture and POP display design, packaging, visual merchandising, and of course, brand positioning throughout. Beyond design, Zamparelli Architectural Group efficiently manages the business and construction process including contract administration, client representation, building department expediting, construction documentation, procurement, and navigating the complex realm of landmarks and historic districts. Our retail design services culminate in excruciatingly detailed and creative visual solutions, always delivered with precision. Balance, rhythm, harmony, emphasis, proportion…it’s what we breathe. It all starts with focused communication skills where we hear our clients’ ideas, requirements, and feelings, then translate these into multi-sensory, highly functional results. Our architects and designers create stunning interiors for all types of projects, including residential, retail, large commercial complexes, health-care, and hospitality facilities. We provide a wealth of services including space planning and analysis, strategic furnishing analysis, color, materials and finish selection and specifications, interior lighting design, built-in casework design, and trade coordination. We offer innovation, style, and perfection in your unique, personalized interior. Design! It’s not just what we do. It’s who we are. Hidden behind the aesthetics, functionality, safety, and comfort of any building lies complex engineering technology that makes it all possible. Energy efficiencies, digitally controlled HVAC systems, fire suppressant systems, structural sustainability, eye-pleasing yet cost-effective lighting design…these are just a few of the structural, mechanical, electrical, and civil engineering elements that our team at Zamparelli Architectural Group handles with finesse. Meticulous engineering is a beautiful thing, and we handle every project with technological integrity and outstanding outcomes. Considering all of the options before expenses add up. At Zamparelli Architectural Group, our commercial and residential clients call upon us for our proven expertise in planning spaces, budgets, desires, form, function, aesthetics, practicalities, traffic flow, inventory management, and design materials, with a few dreams and wishes tossed in along the way. We conduct feasibility studies prepare site analysis and evaluations, and provide site selection services. Our comprehensive plans may include concepts, budgets, drawings, floor plans, and 3-D design presentations, offering clients the critical information needed to make decisions and achieve their goals. At Zamparelli Architectural Group, our commercial and residential clients call upon us for our proven expertise in planning spaces, budgets, form, function, aesthetics, practicalities, traffic flow, inventory management, and design materials, with a few dreams and wishes tossed in along the way. We conduct feasibility studies prepare site analysis and evaluations, and provide site selection services. Our comprehensive plans may include concepts, budgets, drawings, floor plans, and 3-D design presentations, offering clients the critical information needed to make decisions and achieve their goals. At Zamparelli Architectural Group, we take a whole-building approach to inventive and sustainable projects. Always responsive to our clients’ priorities, we analyze and recommend resources, materials, and methodologies to lower operating costs and mitigate the environmental impact. We consider building sites, water efficiencies, energy consumption, atmosphere, and indoor environmental quality, fused with impeccable design and beauty. We are members of the U.S. Green Building Council (USGBC) and provide expertise and solutions leading to Leadership in Energy and Environmental Design (LEED) green building certifications. Obtaining plan approvals that meet with stringent and complicated zoning requirements and building codes is like solving an intricate jigsaw puzzle. You have to have all of the pieces in place. At Zamparelli Architectural Group, we take pride in navigating the process, efficiently achieving approvals, and the successes we have accomplished across the U.S., Canada, and the Caribbean. 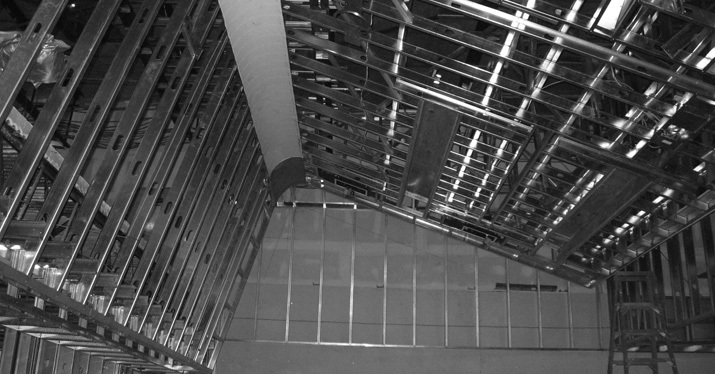 Our team understands zoning and building code analysis, where to obtain plan approvals and building permits, and managing extenuating circumstances such as asbestos reports. We’ve also gained a broad understanding of the unique requirements and regulations of historic districts and landmark properties. Our historic district project portfolio includes high-profile locations such as New York City’s Times Square, Grand Central Station, Madison Avenue, Soho District, Miami’s Lincoln Road, Washington D.C.’s Georgetown, Harvard Square, Beverly Hill’s Rodeo Drive, Santa Monica’s 3rd Promenade, Hawaii’s Waikiki Beach and many others. We offer broad experience and deep knowledge of building codes and regulations, enabling us to smoothly obtain building department, historical district and landmarks approval. Zamparelli Architectural Group has provided comprehensive design, consulting, and implementation for roofing systems, building envelopes, and façade restorations for major projects such as the Miami International Airport, the Port of Miami, and the Miami-Dade Housing Authority. Structural integrity, moisture and temperature control, air pressure boundaries, thermal energy…these are just a sampling of our areas of expertise. Experienced team of designers, architects, engineers, and project managers have accomplished a myriad of mixed projects spanning the U.S., Canada, and the Caribbean.